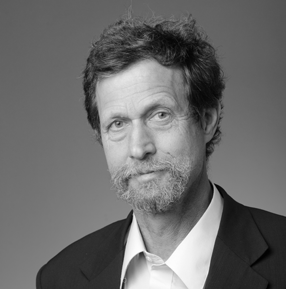 D. Nurkse was born on December 13, 1949, in New Jersey, the son of Estonian economist Ragnar Nurkse. He received his BA from Harvard University in Boston, Massachusetts, and worked as a factory worker throughout the 1970s. He has also worked as a construction worker, grant writer, human rights representative to the United Nations, street musician, kindergarten teacher, translator, bartender, and harpsichord builder, among others. Dennis is the author of ten poetry collections, including Love in the Last Days: After Tristan and Iseult (Alfred A. Knopf, 2017), A Night in Brooklyn (CB Editions, 2013), and Voices over the Water (CB Editions, 2011 ). , and Burnt Island (Alfred A. Knopf, 2006). 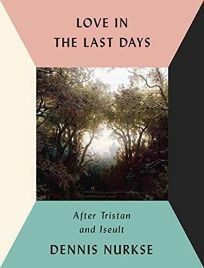 You can read a short review of Love in the Last Days: After Tristan and Iseult here. You can also see and hear Dennis reading three of his poems here at the Academy of American Poets. Nurkse’s honors include awards from the American Academy of Arts and Letters and the Whiting Foundation, as well as fellowships from the John Simon Guggenheim Foundation and the National Endowment for the Arts. He was appointed Brooklyn poet laureate in 1996 and served in the position until 2001. Nurkse has taught poetry at Brooklyn College, The New School, Rikers Island Correctional Facility, Rutgers University, and University of Southern Maine. He currently teaches in the MFA program at Sarah Lawrence College. muffled by a pin in her lips. I’d hoped to give up. by the erratic lights of passing cars. in the gleam of her phone. The mind is not infinite. There was someone standing between me and the music, making the gestures indicating: delight, sorrow, skepticism, grudging admiration, awe – a conductor of my own emotions? Beyond that august slightly stooped back, that peremptory baton, the musicians labored to obey, floundering in tight tuxes, visibly terrified of losing the count when their patent-leather shoes pinch (in the heat of the footlights your feet swell, you can’t prevent it) – timpani and tuba aging a hair in the fast passages, counting to themselves even when the piece was finished. I’ve tried to track the maestro down, in the corridors behind the concert hall, in the maze of dressing rooms, the sound-proofed rehearsal cubicles, to ask how he does it? So perfectly, the distracted augmented chords just when my mind was about to wander? When I miss my wife, the theme veering to a radical minor? If I sneeze, the motif stating itself, tremolo, rubato, sforzando? All I found was a third bassoon, packing his instrument in an outer corridor, unwilling to stop sucking his reed, who pointed with his thumb to a brass-studded door sealed off by a velvet rope. Yet I’m sure I’ve seen him once or twice, on the street, on a bus, on a rainy evening, an old man absorbed in being an old man, his white mane trembling in the draft, the score rolled under his arm. When I introduce myself, perhaps a little defensive, worried at violating his loneliness, already qualifying my admiration so I won’t seem cultish, his lips just flutter in the count. He gestures to the broad streets – gold dome of the capital, museum, warren of factories – and swiftly, in perfect order, they too vanish. The face in the mirror has come to power. It sits in its office signing orders or ripping up treaties. The light in that window burns all night. By day it reviews the troops. It assembles Congress and gives them a tongue lashing. If they fail to meet that cold eye, if they yawn or look away, the thin high voice begins to quaver-–with what? Rage? Desire? My countrymen love it. They come from the failing mill towns and wait in line for one glimpse of the fan-lights of its limo, long as a monster dachshund: one flash of a bodyguard’s dark glasses. Still it’s me in reflection… raise my left hand, it brandishes its right: try to touch it, cold glass intervenes: whorl of my thumbprint, its stubborn cloud of breath. Surely its viciousness makes me kind? When it begins to fail, when it stammers and clenches its fist, it’s my vision that blurs. When its syntax wanders, I forget my way home. When its shirt comes unbuttoned, when its forehead streams with sweat, when it shrieks for the fire, a great dizziness swings me off my feet and I begin turning. I who hated no one. Why can’t it sit still? Why can’t it stand? Why can’t it brush its own teeth? Sometimes I want to slap it and say, look at me – I’m over here! When I was a child, it was no one, corkscrew of whirling leaves, the swing soaring up. Its face was the breeze. But now, how long the flesh takes to lumber to the other side of the mirror, masked in happiness, masked in grief, apologetic but absent. Sometimes it doesn’t make the appointment at all. Endless city, avenues of trees riddled with hearts, sleeved in pollen, tunnels where cars zip and vanish, bridges like decoy horizons blocking the horizon, industrial alleys of chainlink fences that thrum and buckle inwards: and always Corpus, in every room, hunched over a keyboard or a screen, half-way up the stairs, scrunched in a closet, trembling in a narrow bed, trying to enter another body, or be entered. Tangled, like yarn the cat got into. Where does it stop? The suburbs bake slowly in the fumes of August. Even in the mind, there is a little humunculus, with huge teeth and fingers. At night, there is the body again, setting itself on fire, naming itself Rigel or Polaris, instead of Otto or Prudence, exploding, becoming ash and water, then a single cell, safe in an oleaginous barely-permeable membrane, empowered to divide. they look down with huge lustrous eyes. or a lighter, but they just murmur. do you like football? do you like cheese? is ridding them of us. they slip their antennae under each other’s shirts. vulnerable as they are to accidents. forever without love or speech. Immortality is in the code, not the function. but they have no death, no father. wobbling on asphalt, templates of sheer force. the Speaker crying, the lowlands under a blank sheen. We put cruets beneath our storm windows. is so clear it seems absent, searing cold. it was perfect but you ruined it. to his most cherished grievance. return to the night sky. Andromeda and Cephus, have been swapped. remote and exhausted as a lover’s face. D. Nurkse‘s eleventh poetry collection Love in the Last Days was published by Knopf in fall, 2017. He’s the recipient of a Literature Award from the American Academy of Arts and Letters and was shortlisted for the 2011 U.K. Forward Prize. He has taught poetry in MFA programs and the prison system, and was elected for a term on the board of Amnesty International-USA. He lives in Brooklyn with his wife Beth Bosworth and the wild puppy Zephyr.